Ferruccio Lamborghini was already a successful businessman when, in 1963, he decided to found a car company, named after himself. He chose Sant'Agata Bolognese as the location and recruited a variety of famous and capable engineers to design his cars, including Bizzarrini, Dallara and Stanzani. The first car, the 350GT, entered production in 1964 and combined a Bizzarrini developed quad-cam V12 with a Dallara developed chassis. As might be guessed, this combination proved very effective, and it remained in production until 1968 (albeit in revised 400GT form from 1966). More ground breaking was the 1966 release of the Miura, which used a transversely mounted V12 behind the occupants. With a Bertone designed two seat bodyshell (actually by Gandini and Giugiaro whilst working there), the Miura proved a great success and continued until 1973 when it was replaced by the equally famous Countach. In the meantime, the Islero had replaced the 400GT in 1968 as the companies 2+2 coupe, whilst in the same year the Espada had introduced genuine four-seater capacity to the marque. 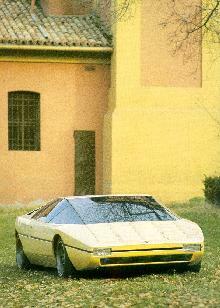 1970 saw the Islero replaced by the similar Jarama whilst two years later the V8 Urraco entered another market segment, that of the 'small' supercar. Also in 1972 Lamborghini sold 51% of his company to a Swiss businessman, with the remaining 49% going to another Swiss in 1974. The latter year saw the Countach revealed in production form complete with 4-litre mid-mounted V12 and brutal, angular styling. 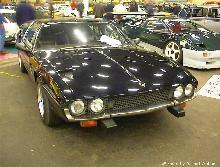 Production continued until 1988 by which time the engine had been increased to 5-litres. The companies problems did not go away, however, and in 1978 they went into receivership. Three years later the Mimram brothers took control and began to revitalise the marque. 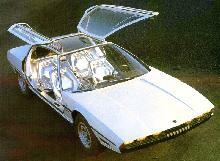 First came the Jalpa, a restyled and heavily modified Urraco, then more potent Countachs and then, in 1982, the LM002. The latter was a Countach engined four wheel drive off-road jeep-like vehicle, quite a break with tradition ! In 1987 Chrysler purchased Lamborghini and development began of a new Countach replacement, as well as a Formula One engine. 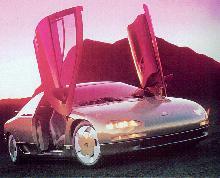 The latter debuted in 1989 and continued for some years without success, whilst the former, named Diablo, emerged in 1990 and continued in production for many years. 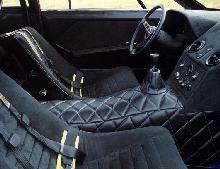 Continuing the mid-mounted V12 theme it is also available with four wheel drive and a roadster has also been built. 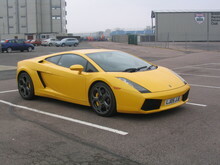 In 1998 Lamborghini was sold to the VW Group, where it comes under the control of Audi. This site fails to cover German cars, so it falls outside our remit.